‘Big Data’ is a term which has pervasively infiltrated marketing circles over the past number of years; eliciting anxiety in some quarters, excitement in others, while in most a sense of disinterest. Anecdotally, the majority of those within the marketing community do not know enough about ‘Big Data’ to make an informed decision as to its impact on their daily lives. It seems inaccessible, complex and in the realm of the elusive ‘quants’; out of reach for most. However, recent developments within the marketing landscape are about to change everything; the race is on to implement a new data-centric marketing paradigm, one where decisions are based on quantitative data as opposed to the traditional qualitative assessments, such as intuition and gut-feeling. Marketing is now abandoning its artistic roots and rapidly transforming into a science; incorporating mathematics, statistics, technology, psychology and neuroscience. ‘Big Data’ is high-volume, high-velocity and high-variety information assets that demand cost-effective, innovative forms of information processing for enhanced insight and decision making (Beyer and Laney 2012). 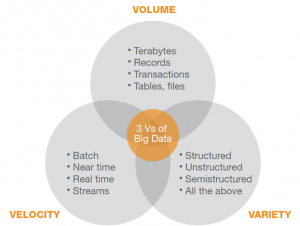 These characteristics are referred to as the 3 V’s of ‘Big Data’; volume, velocity and variety. High-volume refers to data sets with sizes ranging from a few dozen terabytes to many petrabytes of data in a single data set. Traditionally, volume was seen as the defining factor of ‘Big Data’; however in recent years attention has diversified towards the other attributes – velocity and variety. High-velocity refers to the speed of access and processing of data within the system; this in itself is not a new concept. As volumes increase to unimaginable dimensions, the value from ‘Big Data’ will rely on how fast this data can be accessed and processed, enabling organisations to react to data in real time. ‘Big Data’ is inherently high variety; but the data generated and used by small businesses may be more limited in scope, but still insights can be drawn from its analysis. The question at hand is what impact will ‘Big Data’ have on the marketing landscape? A review of current literature points to a number of different effects including a shift in the marketing decision making process (Kumar, Chattaraman et al. 2013), changes in the way small businesses undertake marketing activities (Donnelly, Simmons et al. 2013; Schaeffer and Olson 2013), changes in the competitive landscape (Banasiewicz 2013; Galletti and Papadimitriou 2013), changes in the communication flow between organisations and customers using social media (Russell 2011; Arthur 2013), the advent of precisely targeted marketing and the mining of the long-tail to explore untapped segments (Chen, Chiang et al. 2012). These effects are destined to have a significant impact on the marketing landscape and force an evolution from traditional marketing tactics, heavily based on qualitative measures toward the new data-centric quantitative paradigm. 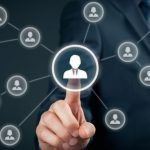 One of the biggest challenges facing marketing managers today is the lack of credibility in the boardroom, with 73 percent of CEOs reporting a lack of trust in the marketing department’s ability to generate sales and increase customer conversion, demand and market share (The Fournaise Marketing Group 2011). In recent years however, there is agreement among marketing researchers that utilizing data to drive marketing decisions can help change the negative perception of marketing from a cost-centre to a value generating profit-centre. The potential of ‘Big Data’ to transform the decision making process by marketeers has been realised, welcomed and rapidly adopted within the industry. Within the E-Business environment, millions of transactions are being made every day and with the rapid penetration of smart-phone applications, customer data is now ubiquitous, leading to an increase in data-driven decision making processes in marketing (Harris et al., 2010). Retailers were first off the mark to adopt an insight-led decision making strategy; which large organisations such as Tesco aggressively gathering and analysing customer data to gain insights into their needs – using integrated customer, shopping and behavioural data to predict future buying behaviours (Savitz 2012). They are also exploiting big volumes of customer data in order to better target customers and gain loyalty, in order to personalize campaigns, coupons and offers to individual customers. The archaic ‘spray and pray’ methodology has now being consigned to the annals of marketing, being replaced with the ‘aim and claim’ methodology that ‘Big Data’ facilitates. This paradigm shift in the marketing decision making process has also led to a change in the competitive landscape; driving competitive advantage for tech-savvy digitally enabled companies who have adopted a data-centric business philosophy. Companies are now viewing data as an asset, i.e. something of economic value that an organisation owns and controls and which is expected to provide future benefits. The real value of data lies in its potential to improve the firms operations through the generation of unique knowledge and insights, which in turn leads to competitively advantageous decisions (Banasiewicz 2013). As data processing capabilities rapidly evolve, the costs of storage and warehousing decrease and powerful software applications to manage customer relationship management databases proliferate, ‘Big Data’ has become accessible and affordable to an ever growing number of organisations. Companies who exploit their data assets in a timely manner can gain significant competitive advantage over their less agile competitors (Banasiewicz 2013). For many years marketers have been aware of the potential of the long-tail of the market – those super-niche segments at the far end of the scale, but have been perplexed as to find a feasible strategy to tap its potential. Long-tail marketing by reaching the millions of niche markets at the shallow end of the product bitstream has now become possible through highly targeted searches and personalized recommendations facilitated by ‘Big Data’ Analytics (Linoff and Berry 2013). Recommendation algorithms, such as those used by Amazon.com and Netflix, have transformed the long-tail, allowing users with very specific and niche tastes access to products they would have not been exposed to previously (Anderson 2004). Within the leisure and entertainment industry, this has had a significant impact, facilitating a resurrection of many previously forgotten book and movie titles, leading to increased sales. A further shift in marketing practice which ‘Big Data’ has the potential to elicit is the way in which small-to-medium enterprises undertake marketing activities. In the retail sector, the marketing power of ‘Big Data’ was recognised by Tesco PLC, with loyalty card data from its Clubcard representing the buying behaviour of 17m shoppers (approximately 40% of UK households). Managed by the market research firm, Dunnhumby, Clubcard data has acted as a platform for Tesco’s rise as a dominant force in the retail sector in Ireland and the UK (Donnelly, Simmons et al. 2013). However, for small firms the use of loyalty cards as a source of ‘Big Data’ represents significant challenges. They are unlikely to have either in-house information and communication technology (ICT) expertise to exploit such data, or the financial resources to utilise outsourced expertise (Cacciolatti, Donnelly et al. 2009). In addition, small firm’s informality towards marketing planning, based on intuition, flexibility and experience, may be challenged by the formalised nature of loyalty card data. However their flexibility and responsiveness to market changes allows them to compete. As data merchants start to sell and exchange data in the future, combined with the approaching accessibility and affordability of data analytics solutions, small firms will have at their disposal technologies and knowledge once reserved for the elite. This, combined with their intrinsic informality in marketing planning will act as a competitive enabler, allowing them to compete at a level far above their weight by combining both formal and informal marketing strategies. Another key aspect of marketing that ‘Big Data’ is changing is the study and utilisation of social networks in marketing practice and customer relationship management. Many marketing researchers believe that social media analytics presents a unique opportunity for businesses to treat the market as a “conversation” between businesses and customers instead of the traditional business-to-customer, one-way “marketing” (Lusch, Vargo et al. 2010). The exploitation of data from social networks offers huge potential in terms of augmenting the already substantial transactional and behavioural data currently inherent in data sets, garnering new variables and insights, ultimately leading to better predictive models. Furthermore, marketers are working hard to understand how they can harness the vast amounts of information found in social media and target it to meet the needs of their brand. When a campaign is data-driven, the metrics being used to measure its success are aligned with the overall goals of the business, leading to increased campaign success rates (Kumar, Chattaraman et al. 2013). In conclusion, marketing is currently undergoing a metamorphosis from a once qualitatively measured art towards a quantitatively driven science. This paradigm shift will indeed lead to significant impacts on the competitive landscape; with the bias towards companies who adopt and embrace a data-centric culture within their organisation. This has knock on effects for employment and resources within the sector – traditional marketers will need to retrain and upskill if they are to compete for jobs with the up and coming digitally-savvy generation. The era of ‘Big Data’ is here; embrace the change or face exile to the outer fringes of the business environment. Anderson, C. (2004). “The Long Tail.” Wired.com Retrieved 20th November, 2013, fromhttps://www.wired.com/wired/archive/12.10/tail.html. Arthur, L. (2013). ‘Big Data’ Marketing: Engage Your Customers More Effectively and Drive Value, John Wiley & Sons. Banasiewicz, A. D. (2013). Marketing Database Analytics: Transforming Data for Competitive Advantage, Routledge. Beyer, M. A. and D. Laney (2012). “The Importance of ‘‘Big Data’’: A Definition.” Stamford, CT: Gartner. Cacciolatti, L., C. Donnelly, et al. (2009). Use of supermarket panel data amongst small and medium sized business in the food industry. Academy of Marketing Conference, Leeds. Chen, H., R. H. L. Chiang, et al. (2012). “Business Intelligence and Analytics: From ‘Big Data’ to Big Impact.” MIS quarterly 36(4): 1165-1188. Donnelly, C., G. Simmons, et al. (2013). 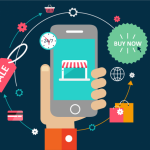 “Digital loyalty card ‘‘Big Data’’ and small business marketing: Formal versus informal or complementary?” International Small Business Journal. Galletti, A. and D.-C. Papadimitriou (2013). How ‘Big Data’ Analytics are perceived as a driver for Competitive Advantage: A qualitative study on food retailers, Uppsala University. MSc. Kumar, V., V. Chattaraman, et al. (2013). “Data-driven services marketing in a connected world.” Journal of Service Management 24(3): 330-352. Linoff, G. S. and M. J. Berry (2013). Data mining techniques: for marketing, sales, and customer relationship management, John Wiley & Sons. Lusch, R. F., S. L. Vargo, et al. (2010). “Service, value networks and learning.” Journal of the Academy of Marketing Science 38(1): 19-31. Russell, M. (2011). Mining the Social Web: Analyzing Data from Facebook, Twitter, LinkedIn, and Other Social Media Sites, O’Reilly Media. Russom, P. (2011). ‘Big Data’ analytics. TDWI Best Practices Report, Fourth Quarter. Savitz. (2012). “Why ‘Big Data’ Is All Retailers Want for Christmas.” Forbes.com Retrieved 19th November, 2013, from https://www.forbes.com/sites/ciocentral/2012/12/12/why-big-data-is-all-retailers-want-for-christmas/. Schaeffer, D. M. and P. C. Olson (2013). ‘Big Data’ Options For Small And Medium Enterprises. The Clute Institute International Academic Conference. Colorado, USA. The Fournaise Marketing Group. (2011). “73% of CEOs think marketers lack business credibility: they can’t prove they generate business growth.” Retrieved 18th November, 2013, from https://www.fournaisegroup.com/Marketers-Lack-Credibility.asp.